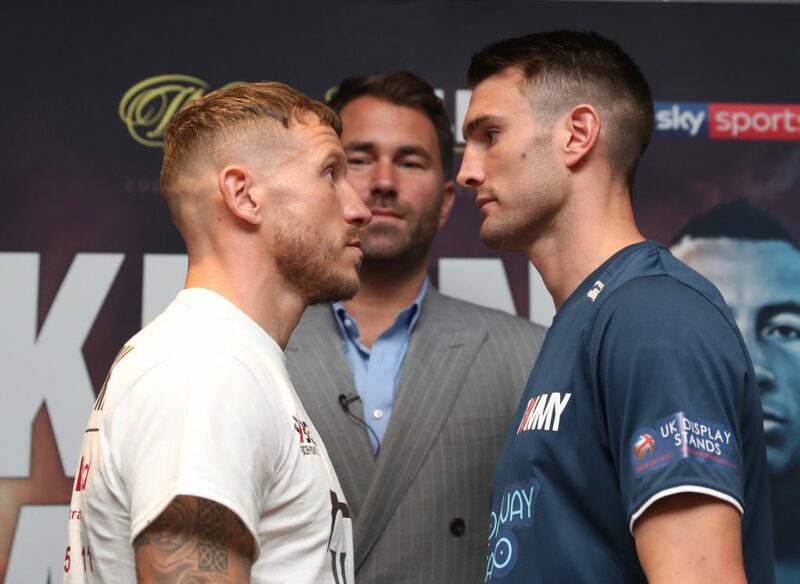 The Midlands Middleweight matchup will be shown live on Sky Sports in the UK and streamed live on the DAZN Facebook and Twitter pages in the US. Welborn outgunned Langford in a British Boxing Board of Control nominated Fight of the Year contender back in May at Walsall Town Hall. Langford went into their first meeting as the Champion and clear favourite with Welborn out at 7/1 with the bookies. Those odds were turned on their head though as the WBC International Silver Champion recorded a shock split-decision victory. And Welborn believes that Langford wouldn’t be able to recover from a second successive loss. “I’m confident at the end of the day,” said Welborn. “I deserved to win British title and I know that I can beat Tommy Langford again. I’ve trained even harder for this rematch and if I do what I did last time then I know that I’ll win. “He’s got an excuse, he said that he didn’t prepare properly last time and he looked past me. He’s gone back to the drawing board, our side hasn’t. We’ve just got to turn up, get that win and do what I normally do. “Langford will be desperate to even things up and get the belt back. He will be hungry so I can’t switch off and I know exactly what I have to do to keep my belt. 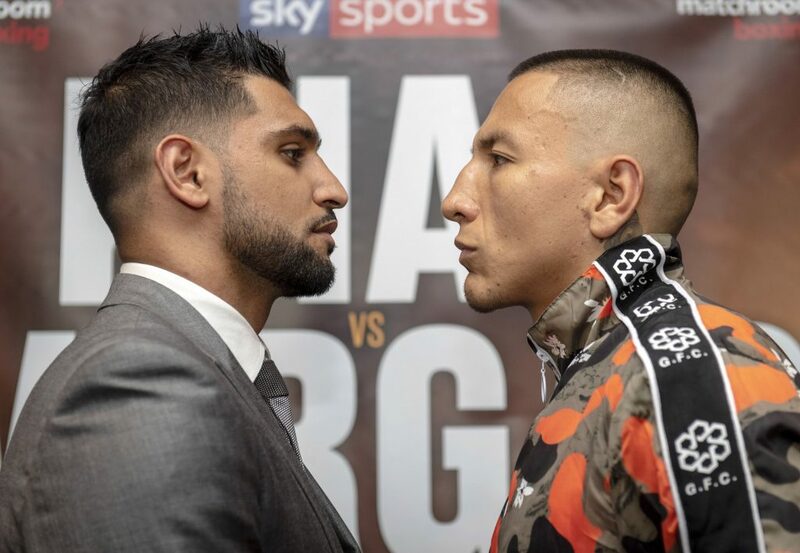 Welborn’s clash with Langford is part of a huge night of action in the second city, topped by Amir Khan’s Welterweight showdown with Samuel Vargas. Ryan Kelly defends the Midlands Area Super-Welterweight title he won in May via stoppage at Villa park against unbeaten Dordon man Kelcie Ball, Stourbridge banger Sam Eggington appears on the bill with Super-Bantamweight star Gamal Yafai, while Geordie Lightweight ace Lewis Ritson keeps busy ahead of his return to the Metro Radio Arena on October 13. Preston Super-Welterweight Scott Fitzgerald takes on Ludlow’s Craig Morris over ten as he works towards a domestic showdown with Anthony Fowler, Leeds Super-Bantamweight Qais Ashfaq faces Liverpool’s Gary Austin, with action elsewhere from Northampton Middleweight Keiron Conway, Belfast Lightweight Sean McComb, Bolton Super-Bantamweight Osman Aslam, Birmingham Cruiserweight Shakan Pitters and Super-Welterweight Steven Donnelly. Posted in News Tagged Amir Khan, Anthony Fowler, Arena Birmingham, Craig Morris, Gamal Yafai, Jason Welborn, Keiron Conway, Kelcie Ball, Lewis Ritson, Mussab Abubaker, Osman Aslam, Qais Ashfaq, Ricky Little, Ryan Kelly, Sam Eggington, Samuel Vargas, Scott Fitzgerald, Shakan Pitters, Sky Sports, Tommy Langford Leave a Comment on WELBORN: THIS IS THE END OF TOMMY LANGFORD! “It’s fantastic to see Amir Khan back again after a blistering performance at the Echo Arena in Liverpool against Phil Lo Greco. We’re still catching our breath from that. But this time I think a much more serious challenge is in front of him that he has prepared for intensely with his new trainer Joe Goosen. “It’s brilliant to be back isn’t it. A fantastic run through to autumn and winter. Boxing is so hot at the moment and what better place to start than here in Birmingham. 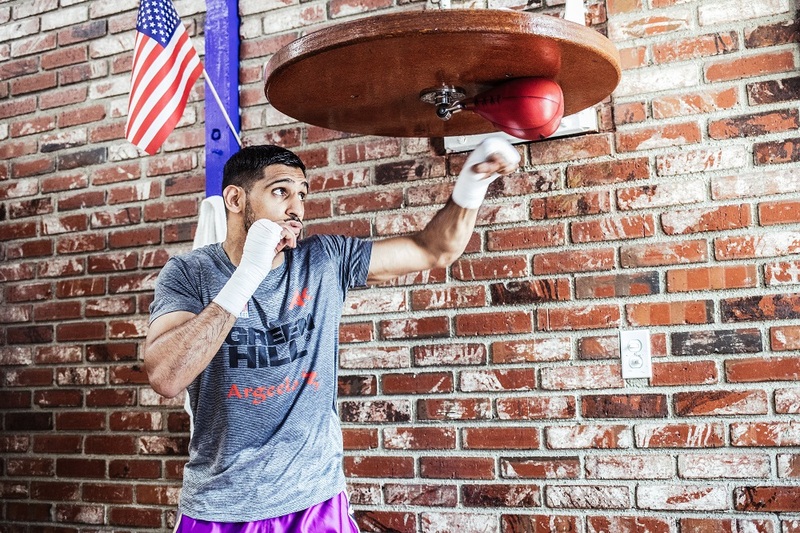 It’s great to be back, it’s fantastic to have Amir Khan topping the bill. We didn’t get to see much of him in Liverpool, it was so quick against Phil Lo Greco. I’m sure we’ll have more from Samuel Vargas, who I know comes full of confidence and with a big team. It is great to see Chris Johnson back in Britain, it has been a few years. “It’s been a tough training camp. I’ve spent round about ten weeks in Los Angeles and it’s the first time that me and Joe have spent a full camp together. The last fight was a little bit of short training camp because of the change of trainers. We’re going to be ready for this fight and I’m glad the team on my left (Team Vargas) is talking and they’re confident. They’re making the fight more exciting. “I’ve trained very hard for this fight as I do for all of my fights. I’ve sparred with some really tough fighters and fighters that are probably better than my opponent. When I get in the ring I’m going to give Birmingham a great fight and I’m going to do what I do best. We never go into a fight looking for a knockout, we never go into a fight throwing big bombs. If it happens it happens, if I see an opening I’m going to take it. I’ve been watching videos of Vargas, I’ve seen a few things in there but everyone if different in every fight. “I’ve had a great camp and I want to thank my team. I had a tremendous training camp and had a lot of rounds. I brought in sparring from Puerto Rico and the States as well as local sparring in Toronto. It was great. I’m blessed to be here. “It’s brilliant to have such a huge event back in Birmingham. It’s a great boxing city. It’s a chance for me to show what I’ve got. There’s huge exposure for all of the lads on the card and it’s going to be absolutely rammed out in the arena so I’m really looking forward to it. Tommy Langford says he will put the record straight when he rematches Jason Welborn for the British Middleweight title at Arena Birmingham this Saturday (September 8), live on Sky Sports. The local rivals went to war over twelve rounds in a British Boxing Board of Control nominated Fight of the Year contender back in May at Walsall Town Hall, with Welborn wrestling the Lord Lonsdale belt from Langford via a shock split decision. Langford, 29, was widely expected to win having already seen off his mandated opponent Jack Arnfield at Manchester Arena in February, but admits mistakes were made in the build up to their first meeting. “The truth is I probably got a big too big for my boots,” said Langford. “I’ll hold my hands up, I overlooked him last time. Fair play to Jason, he made it in to his type of fight which distracted me and put me off my game plan. “I got it severely wrong. It’s not good enough just admitting that you got it wrong, you have to realise why you got it wrong. The reality is I looked past him and paid the price. Thankfully we got the rematch straight away and I’m looking forward to putting the record straight and showing people what I’m really about. “You’ve got to give Welborn credit, he fought the right fight for him. It was a full on tear up for the twelve rounds. I’m 100% focused on winning my belt back, I’m not looking past it. It doesn’t matter how I’m going to win, I know I will win. “There was a lot that went wrong last time, we’ve identified some technical aspects of my game and have been improving on that for this camp. I’ve got to get back to my boxing and use my feet a lot more this time around. Former Commonwealth and WBO Intercontinental Champion Langford knows that big fights lie ahead should he regain the British title and insists that he will not be making the same mistake twice when he gets in the ring with Welborn on Saturday. “This rematch is on the big stage, which is where I feel like I belong,” he added. “There’s no getting away from the fact it’s a big fight for us both and the winner will go on from here. Langford’s clash with Welborn is part of a huge night of action in the second city, topped by Amir Khan’s Welterweight showdown with Samuel Vargas. Preston Super-Welterweight Scott Fitzgerald takes on Ludlow’s Craig Morris over ten as he works towards a domestic showdown with Anthony Fowler, Leeds Super-Bantamweight Qais Ashfaq faces Southampton’s Ricky Little, with action elsewhere from Northampton Middleweight Keiron Conway, Belfast Lightweight Sean McComb, Bolton Super-Bantamweight Osman Aslam, Gloucester Super-Lightweight Akeem Ennis Brown and Birmingham Cruiserweight Shakan Pitters. 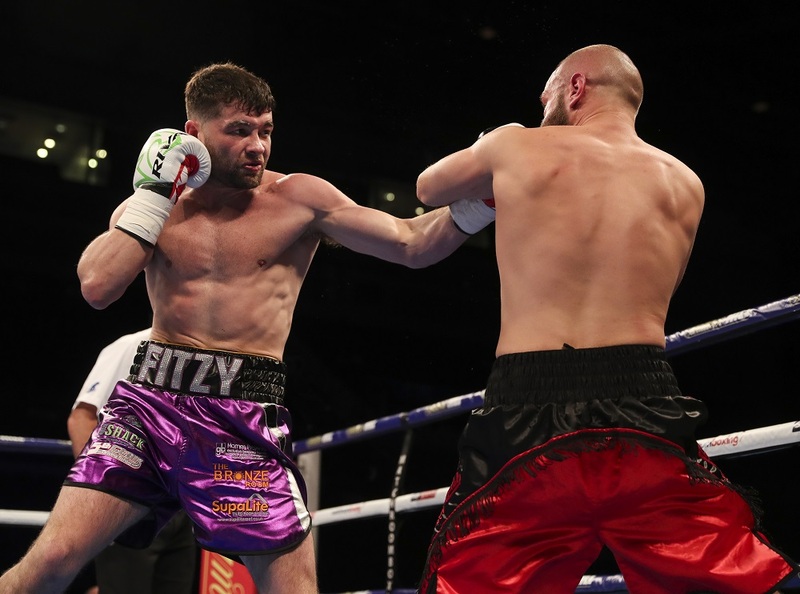 Scott Fitzgerald is keen for a match-up with fellow rising star Anthony Fowler, should he come through his clash with Craig Morris at Arena Birmingham on September 8, shown live on Sky Sports. A fight against ‘The Machine’ has been welcomed by the Preston man, who wants to work his way into title contention after 10 wins, and would even travel to Fowler’s hometown venue. 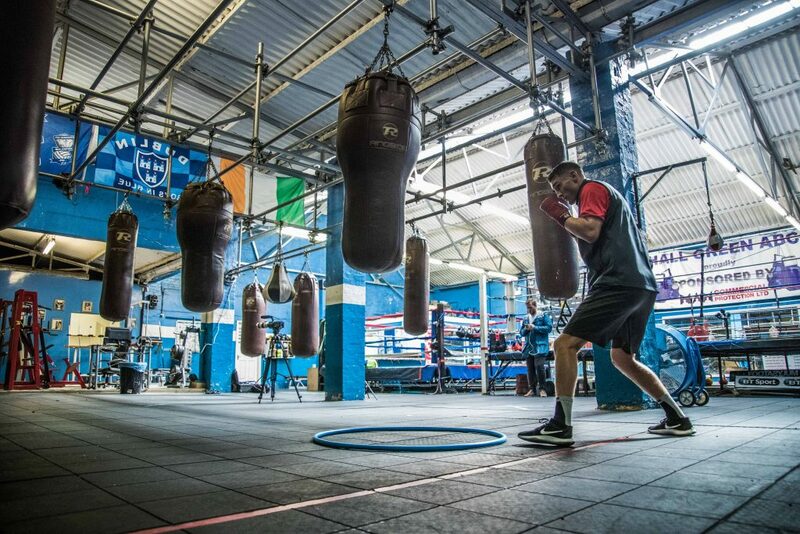 Fowler called for a showdown with his former Team England teammate after stopping Dublin’s Craig O’Brien at The O2 in July, and Fitzgerald is happy to oblige him. The 2014 Commonwealth Games gold medallist believes he would beat Fowler with his superior speed and ring intelligence. “Hopefully the fight with Fowler is going to get made sooner rather than later,” Fitzgerald told Sky Sports Boxing. “Anytime before the end of the year, and anywhere. I’m happy to fight in Liverpool, the Echo Arena, if that’s what makes sense. “Whoever wins the fight is going to be propelled onwards, so I want that fight because I know I can win, and that’s what I plan on doing. Fitzgerald faces potentially his toughest opponent yet in Morris, who has won ten of his twelve contests, stopping three of his opponents. Fitzgerald’s clash with Morris is part of a huge night of action in the second city, topped by Amir Khan’s Welterweight showdown with Samuel Vargas. Leeds Super-Bantamweight Qais Ashfaq faces Southampton’s Ricky Little, with action elsewhere from Northampton Middleweight Keiron Conway, Belfast Lightweight Sean McComb, Bolton Super-Bantamweight Osman Aslam, Gloucester Super-Lightweight Akeem Ennis Brown and Birmingham Cruiserweight Shakan Pitters. Vargas is ranked number 9 in the WBA and knows that a win over the former unified World Champion will rocket his name into World title contention in the Welterweight division. The 29-year-old Canadian based Columbian doesn’t believe that Khan managed to shake off any ring rust in his first round destruction of Phil Lo Greco in April and has warned the UK favourite to prepare for a punishing battle. “If I touch him on the chin, he’s going down,” said Vargas. “That’s a guarantee. I’m sure it’s going to be a hostile territory, but I’ll impose my will on him. He’s an old man. He’s been hurt before and he’s been stopped many times. “I just have to land one punch on his chin, left or right hand. His feet will go all over the place and if he’s still there I’ll hit him again and again. It’s there, everyone knows it’s there. “If he’s expecting another 39 second blow out then he’s going to be in for a big shock. He’s been stopped really badly a couple of times, so we know it’s always there and we have 36 minutes to do it. Vargas has fought both Errol Spence Jr and Danny Garcia, losing to both. He will be looking to make it third time lucky when he takes on another elite fighter in Khan next month, who he feels he is being overlooked by. “I’ve been in there with the best, obviously I didn’t get the results that I wanted but those defeats have been my biggest lessons. I work hard and I sacrifice a lot. I’m just a regular guy that decided not to quit and not to give up, to get up and to keep on going and here I am. That’s why I was given this opportunity. Khan’s clash with Vargas tops a packed card in the second city, as Jason Welborn defends his British Middleweight title in a rematch with Tommy Langford, whom he snatched the title from in May via split decision in Walsall. Preston Super-Welterweight Scott Fitzgerald takes on Ludlow’s Craig Morris over ten, Leeds Super-Bantamweight Qais Ashfaq faces Southampton’s Ricky Little, with action elsewhere from Northampton Middleweight Keiron Conway, Belfast Lightweight Sean McComb, Bolton Super-Bantamweight Osman Aslam, Gloucester Super-Lightweight Akeem Ennis Brown and Birmingham Cruiserweight Shakan Pitters. Amir Khan is promising to deliver another explosive performance when he takes on Samuel Vargas at Arena Birmingham on September 8, live on Sky Sports. Khan is back in action following his blistering return to the ring in April in Liverpool where he destroyed Phil Lo Greco in just 39 seconds after nearly two year out of action. Speaking from his Los Angeles training camp, the former unified Super-Lightweight ruler insisted he will need to beat Canadian based Columbian Vargas in style if he is to secure a shot at Welterweight World honours later this year. 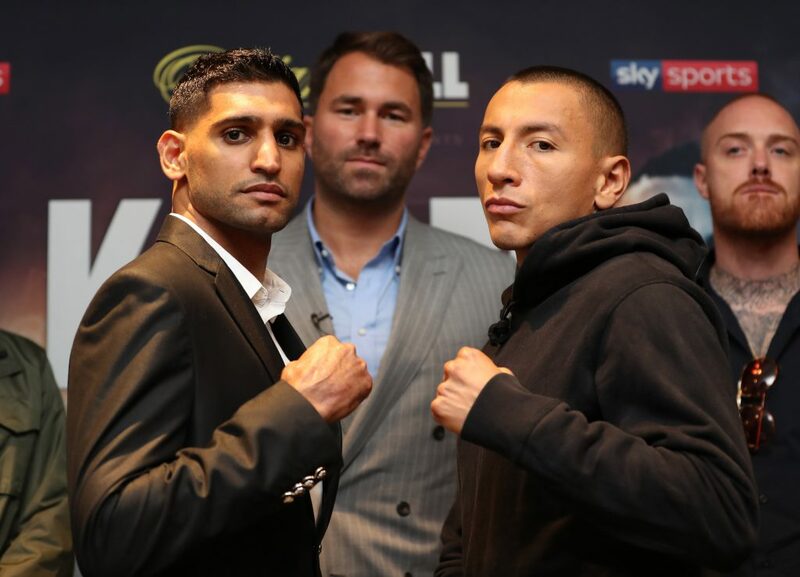 “Fans will see another explosive performance on September 8,” said Khan. “I didn’t get a chance to show everyone what I had been working on during my time out against Lo Greco. But you saw the punch power, accuracy, speed and timing and you’ll see it again against Vargas. I always make it exciting, it’s going to be another big bang. “Vargas is another step and move in the right direction. This will take me on to the bigger and better fights and that’s with no disrespect to Sammy. He’s going to come to win, he knows by beating me it propels him on to a whole new level. It’s one of them fights I have to be very smart in. I need to win and also look good doing so. There’s big fights in the pipeline but I can’t afford to look that far ahead, Vargas has my full attention. 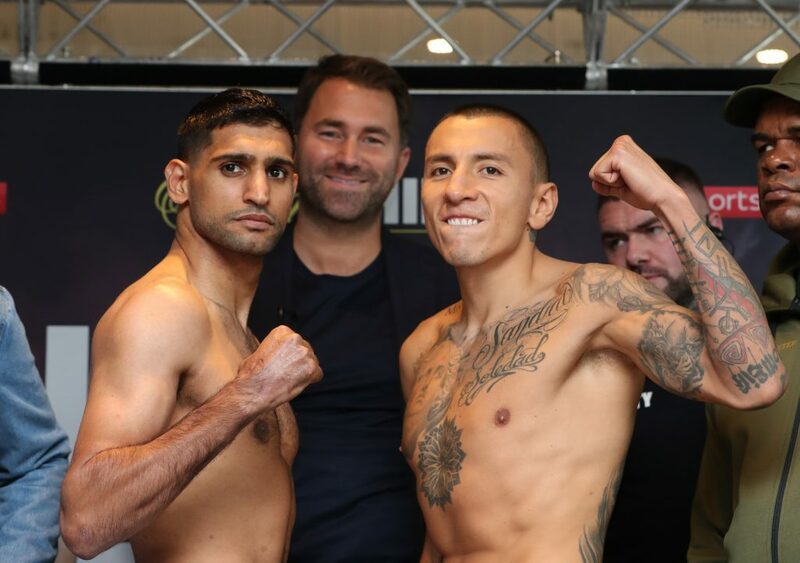 Khan is approaching his second fight under vastly experienced trainer Joe Goossen and is confident that the extra time he has spent in the gym with Goossen will benefit him greatly come fight night on September 8. “The bond is growing with Joe, we’ve had much more time to work on things in this camp. We’ve been improving what Joe sees as my strengths and also the mistakes I can make in a fight so we’re building to become the full package. Last time we just really set the game plan given the short notice we had together but for this one we’ve had the full camp behind us. Preston Super-Welterweight Scott Fitzgerald takes on Ludlow’s Craig Morris over ten, Leeds Super-Bantamweight Qais Ashfaq faces Southampton’s Ricky Little, with action elsewhere from Northampton Middleweight Keiron Conway, Bolton Super-Bantamweight Osman Aslam, Birmingham Cruiserweight Shakan Pitters and Birmingham Super-Welterweight Mussab Abubaker.